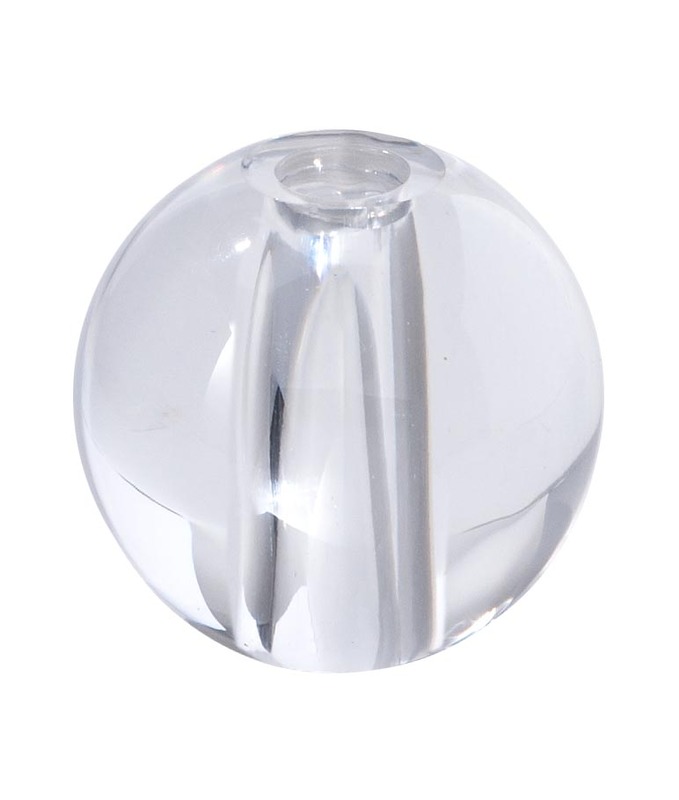 Clear and colorless round acrylic sphere lamp break or ball. Lamp break has a .438" diameter center hole and 5/8" diameter flat seating top & bottom. All surfaces and holes are polished clear. These lamp breaks are stackable and really open up the possibilities for mid-century modern lighting designs. No reviews yet for the Round (Ball) Acrylic Lamp Breaks.